Did that really happen? Is it really there? Well, I checked today – just to be sure, of course – and the answer is a resounding, 75 metre, 28 tonnes YES! 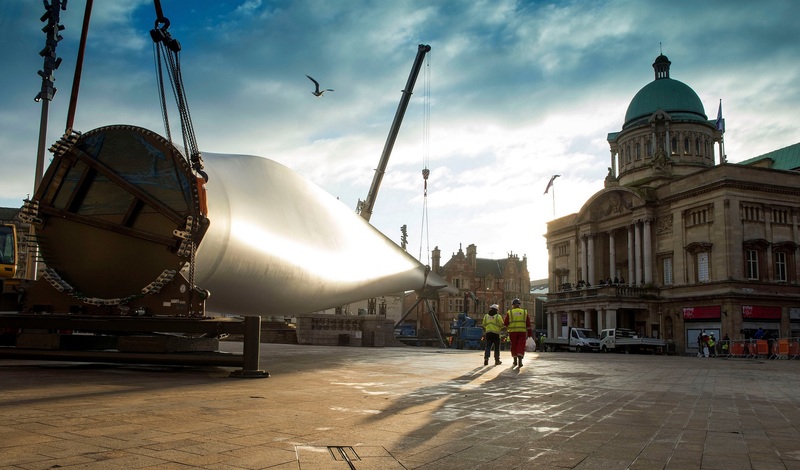 There it is – an enormous, unavoidable, captivating statement not just of Hull’s status as the UK City of Culture, but also as a city of industry and innovation; a city of renewable energy; a city of the future! There it is – artist Nayan Kulkarni’s grand vision delivered, exactly as he imagined it. There it is – a nameless Siemens wind turbine blade, destined for industrious obscurity in the North Sea, has become Blade (note the upper case B, now that it’s a work of art!). There it is – demonstrating that imagination, ingenuity and belief can achieve extraordinary things. 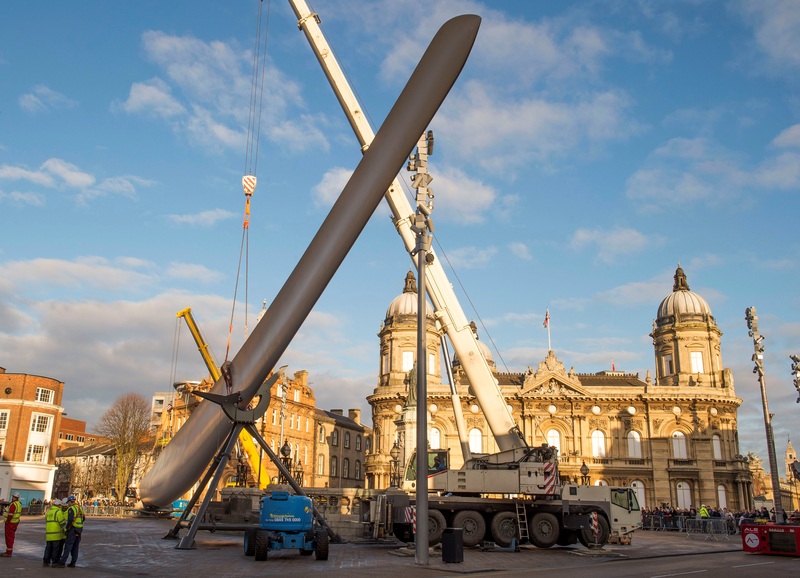 The huge “Blade” installation mounted on specially-constructed supports in Hull’s Queen Victoria Square. 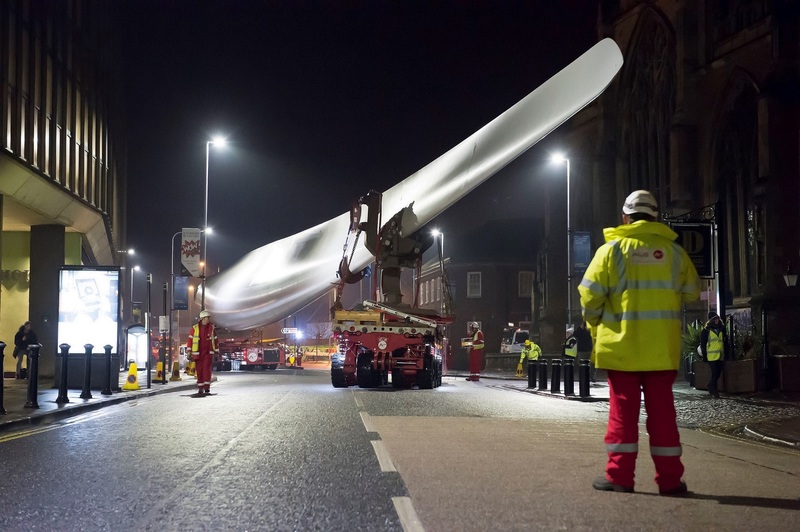 The 75m blade, made by Siemens workers in Hull, is manoeuvred through Hull’s Old Town. 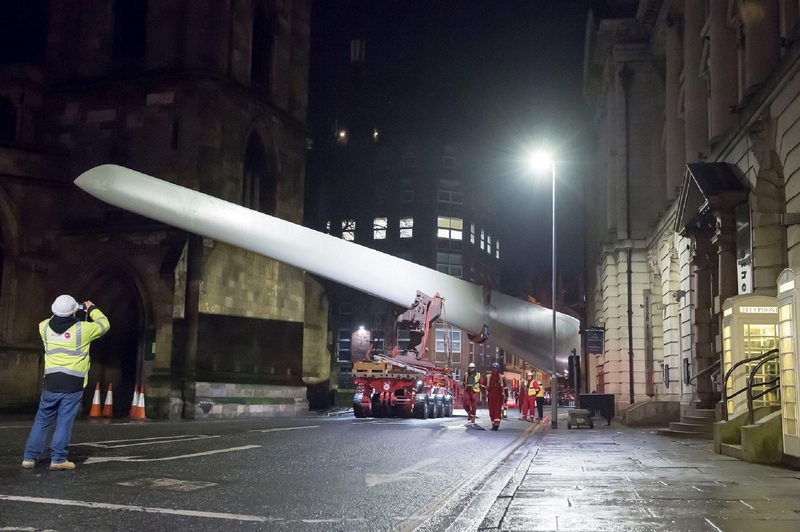 The incredible operation to take the blade through city centre streets during the early hours. There it is – a testament to the design, engineering and logistics expertise that made the seemingly impossible, possible. There it is – cutting a vast, dramatic, but still graceful, slice across Queen Victoria Square. There it is – in newspapers from Switzerland to Mauritius (so I’m told). There it is – being touched, photographed and selfied by hundreds of people every day. There it is – being ignored by those people who pretend there isn’t a vast impediment to their progress across Hull’s premier public space. There it is – an awesome, astonishing, jaw-dropping statement of the power of a city that doesn’t know how to say ‘no’. Mission possible: The blade being lifted into position in Hull’s Queen Victoria Square. Footnote: I was one of the few who had known about Blade for months and I never once thought it wouldn’t be achieved, because of the capability and calm, assured confidence of those involved. Nevertheless, having observed the incredible operation, I am in awe, not just of Blade, but of everyone involved in the astonishing achievement in moving such a mammoth structure (now a sculpture, of course) from the Siemens factory to the city centre and through winding streets before installing it exactly to the artist’s requirements. Take a bow, all involved!